We thought our clients might like to know what some of our team have been reading – or are packing in their suitcases for this year’s summer break. Artemis Cooper, Patrick Leigh Fermor: An Adventure. A comprehensive account of the life of Patrick Leigh Fermor who is best known for his involvement in the capture of a Nazi General during World War 2. As a child he was kicked out of school and considered a failure. One of his headmasters allegedly called Leigh Fermor “a dangerous mixture of sophistication and recklessness”. But after reading about the man the boy became you will simply be left with admiration at the things such a “dangerous” mixture led him to achieve. Fuelled by determination and linguistic genius, Leigh Fermor overcame a troubled childhood to become one of the great travel writers of his time and a British war hero. Patrick Leigh Fermor, Mani: Travels in the South Peloponnese. One of his great achievements was a wonderful account of the South Peloponnese. I love the Greek lifestyle, the culture and the heat – and Leigh Fermor captures it so dazzlingly. He describes his travels to what was once a very inaccessible part of Greece in a true adventure, travelling by foot, boat or donkey. His use of language is so visceral that it takes you away to a time when Greece was wild and rustic but also unspoilt and magnificent. Perfect if you’re travelling to Greece, or perhaps if you’re staying in the UK and wish you were! 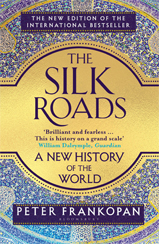 Peter Frankopan, The Silk Roads: A New History of the World. In the West our history has often been attached to the idea of a continuous lineage of ‘Western civilization’, running directly from the Greeks. In fact, for much of human existence the crucible of knowledge was the East. Frankopan talks about the Silk Roads as a kind of internet of their age, transferring wealth and knowledge across distances that otherwise would have been impossible. Mathematics, astronomy and much of our language came here on the Silk Roads. It makes you realise how very ignorant we are and how we often live within our own version of the world built on a rather blinkered view of history. Henry Marsh, Do No Harm. 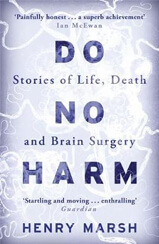 The book is a series of anecdotes told by neurosurgeon Henry Marsh, each focusing on different patients with various conditions. The subject matter is immensely complex but Marsh makes it easy to follow. He guides the reader through the depths and complexities of the brain, like a submariner cruising down to the seabed. You quickly come to appreciate how fraught with danger this world is – we are often mere millimetres away from having our lives changed irreparably. One can only come away awed at the complexities of the mind. Christopher McDougall, Born to Run. A colleague brought it in a while back and I’ve only just managed to wrangle it off him. 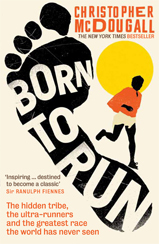 It starts by telling the story of how the author, a runner himself, goes to find a Native Mexican tribe that can run for over a hundred miles without injuring themselves. It shows how endurance is all about what’s going on in your brain, rather than your body. Before long it dives even deeper and discusses the evidence to suggest humans evolved to hunt on foot without weapons, but rather using their stamina. Somehow the author, pieces it all together in a coherent and fascinating read. 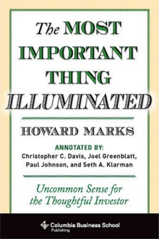 Howard Marks, The Most Important Thing. Bear with me on this one – it’s about investing – but it was recommended to me by a colleague. The author, Howard Marks, is the chairman of Oaktree which is one of the biggest asset managers in the world. He’s up there with the most insightful thinkers in the field and his writing is so accessible. It constantly gives me reason to see investments and the associated risks in a different light. It’s not for the faint hearted – like most books on investment, really! But whether you’re an expert or an amateur, it’s impossible not to learn something from this fantastic book. David Sedaris, Calypso. A comedy for those who don’t like comedies. David Sedaris offers a collection of dark but hilarious recollections of family life in all its challenging splendour. The book touches on some difficult subjects but is a must-read for anyone who either has siblings or has looked on in bemusement at the rag-tag assortment of another family’s relationships. It will have you laughing out of your lilo. Sam Walton, Made in America. At only two-thirds the size of a normal novel and written in Walton’s folksy style, this pint-size autobiography is highly accessible and charts the story of the original retail disruptor. Through old-fashioned hard work and an uncanny ability to judge what to sell in huge volumes, Walmart grew from one store in Rogers, Arkansas, in 1962 to an empire turning over $500 billion last year. While this success made Walton a hero to many and a villain to some, this book remains relevant to all. The picture of Walton picking out new stores from his single-seat propeller plane is sure to hold your attention. Scott Galloway, The Four: Scott Galloway is an out there, amusing guy who has sold a few businesses and now works at New York University. He often takes interesting perspectives on business-related issues, but those in this book are particularly powerful if you reflect on their scale. In The Four he looks at Amazon, Google, Facebook and Apple and discusses whether their global dominance is problematic. Spoiler alert: He thinks it is, and proposes breaking them up. Essential for anyone interested in the businesses behind the tech. David Enrich, The Spider Network: During the Libor scandal a small group of people managed to dupe the global financial world, regulators and governments in order line their own pockets. Learning how it occurred is fascinating enough, but Enrich also has a unique perspective through his contact with Tom Hayes, the only person ever to be convicted as part of it. It’s terrifying, shocking and absolutely fascinating. Henry Fraser, The Little Big Things. It’s the true autobiographical story of a 17-year-old boy who having finished his first year of A-Levels goes to Portugal with friends. Diving into the sea, he hits his head and his life is turned upside down. He emerges from hospital paralysed from the neck down. Today, he is an artist, painting using a brush he holds in his mouth. He shares his experiences with groups, sports teams and businesses talking about the importance of positivity, accepting tragedy and adapting to what life offers you. The story is tremendously uplifting and Fraser’s positivity is inspirational. In his own words ‘everyday is a good day’. Ruta Sepetys, Salt to the Sea. Ruta Sepetys writes stories that the history books have forgotten – particularly those that have been deliberately excised due to uncomfortable truths. In Salt to the Sea she writes four fictional characters into the true story of the sinking of the Wilhelm Gustloff, a German ship sunk by a Russian torpedo in 1945 as it was evacuating civilians ahead of the Red Army’s advance. To this day it remains the highest loss of life in the sinking of a single ship – over 9,000 were killed. The tragedy is made incredibly vivid by Sepetys’ striking prose. No representation or warranty, express or implied, is made of given by or on behalf of the Firm or its partners or any other person as to the quality of the books referenced here, and no responsibility or liability is accepted for any such information or opinions. Opinions and views expressed are personal – we cannot guarantee that you will like these books, but we hope you do!